Get notified when we launch our new app screenshot and mockup tool! 🙌👏 Create and publish professional app images and videos in seconds. No spam, only helpful stuff. The essential free guide to make your app store screenshots awesome! Strategies, design tips and research... all in one place. Whether you're a designer, developer or marketer, app screenshots play an increasingly important role in the success of your app. This guide is a collection and distillation of relevant and recent strategies, design tips and research to help you cover all the bases quickly. We will cover why screenshots are important, key information you need to know about screenshots submissions and also how to improve your screenshot designs to boost downloads. This guide has taken over 150 hours to research and write. Check back on this guide again over time to see what has changed - it will be constantly updated and refreshed. It is primarily Apple-focused, but will later expand to other platforms. Your input is welcomed in the comments section at the end - please feel free to contribute so we can all benefit. There is no charge for the information in this guide, but if you find it valuable, please share this page or any of the infographics with others who might find them beneficial by using the share buttons throughout. Its a long page, so simply scroll down or use the navigation buttons to skip sections - should take about 90 minutes to fully cover. Why are app screenshots important to app developers? What is the app sales process? ‍Why does better app screenshots mean more app downloads? How can I use screenshots to increase app downloads? The numbers speak for themselves... a study in 2014 revealed that around half of app users found their last app by searching the app stores. Why does this matter? Great screenshots help to get attention as users trawl the search results for something that excites them and this is even more critical when apps look similar for given search terms. If we take a closer look a the users who actually use the Apple App Store to search for apps, then nearly two-thirds of all app downloads (65%) come directly from searches on the App Store, which is very significant considering 70% of all App Store visitors use the search functionality. This clearly indicates that "search" cannot be underestimated in terms of volume for app discovery. While search has become more important over time, Apple and Google have also invested a lot into changing the way apps are listed in the stores, with a heavy focus on editorially curated lists (this really started back in 2015). More recently, it seems that featured apps can expect up to 800% increase in downloads when picked by app store editors. The reason this is important is that users have also become reliant on the app stores to spoon feed them "good" apps. This has meant that for those unfortunate developers who aren't one of the "cool kids", making good use of App Store Optimisation which includes screenshots (we'll go into that in more detail later on below). Apple's counter-move to the invasion of re-skins hitting the App Store has heavily impacted those developers who initially relied on being mentioned in the "new apps" category - their main source of getting downloads. Originally developers were able to re-skin one app ten times, and get 10x the traffic. Now that it's more difficult for mass-produced, cookie-cutter apps to flood the well-regulated Apple App Store, Apple has effectively changed the way the market functions and simultaneously made it more important for apps to appear professional. It's clear Apple has made no secret they are willing to cull apps users obviously don't want. However, its more than just suppressing poor quality apps as Apple have themselves touted that the App Store will help you "find the apps you love. And the ones you’re about to." which underpins their confidence in their own ability to find you apps they think you want. To summarise: optimising app store pages is an essential element of an effective app marking strategy. Unless you've been lucky enough to be added to a curated list (and you'll still need good screenshots for that! ), app screenshots are now even more critical to sustaining downloads by ensuring that the vast volume of users who are searching the app stores are not bouncing away from your app store listing. You can't buy your way into a curated list unless you make a good app. Make good apps. Make great screenshots. can this app do what I want? does this app have an acceptable level of quality? is this app worth my money or my time? Each customer will evaluate these questions differently, but one thing is clear, customers examine app screenshots before they look at a lot of other elements of the app listing. This is because they are confident (rightly or wrongly) that if they like the screenshot, they will probably like the app too. The reverse is also true for them - if they dislike the screenshot, they then believe they won't like the app, and therefore there is no need to further review the rest of the app store listing. As Steve Young explains, you should really be thinking of app screenshots as "advertising banners", using them to create a story about your app. Simply showing snap-shots of features is not enough to entice a user to desire it. Once you've got their attention, you need to convince them your app delivers on the three questions mentioned above, and the best way to do that is to emphasize the benefits and uniqueness of your app, while sprinkling on some social proof. Now that your potential customer has enough desire to download the app, remind them to take some action instead of just moving on to the next app. Uniqueness cannot be underestimated. Perhaps your app does something small, i.e. does a specific task in just 1 step, instead of 3 (which makes it unique). The App Store is full of apps that are essentially the same (primarily thanks to reskinners), so be sure to go out of your way to emphasise why your app is different from the others out there, even if you have to change the app itself. The challenge is to make sure this unique feature has a unique benefit. If you can line up those two elements, you have a competitive advantage. Localized screenshots have slowly become a non-negotiable and are now essential to the global success of an app. 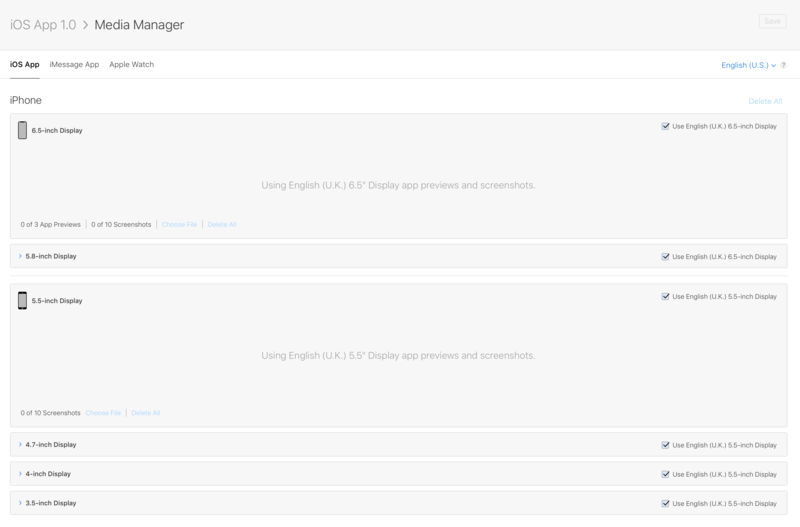 There are many examples of how much better apps do when they are in local languages, but when your screenshots are also localized, your app connects far better and faster with a visitor to the App Store. This case study showed how a developer increased his downloads by 767% through localizing his app. Being able to read and understand how an app functions in your own language removes barriers for users to make app purchases. Not clearly understanding how an app works by looking at its screenshots is an immediate turn-off for a potential customer. What's even worse, a user may have mis-interpreted screenshots in a language they do not clearly understand, resulting in disatissfaction after they use the app. This can often be a cause for poor reviews, which feeds a negative spiral in app downloads. Spending the extra time to localize screenshots will never be an unrewarding exercise but it is a task that is completely worth the return on investment. There are between 6 and 8 steps a customer usually passes through before they download an app. Depending on which route they take to get to the app listing in the store, this process can fluctuate slightly. The important thing point remember is that app users have become accustomed to the app download process. The average smartphone user has downloaded 65 apps and has quickly learned what a good app looks like, even if that is very subjective. This has generally increased the overall level of sophistication of app users, something developers need to get used to. With billions of apps to choose from, the obligation to impress a potential customer sits with the developer. Have you recently downloaded an app? You may not recall exactly how you went about this, but it is likely to be very similar to the general App Sale Process. The reviewing of app screenshots by a potential customer (see the purple rectangles in the diagram below) shows you just how quickly screenshots influence a customer as they go through the download process. 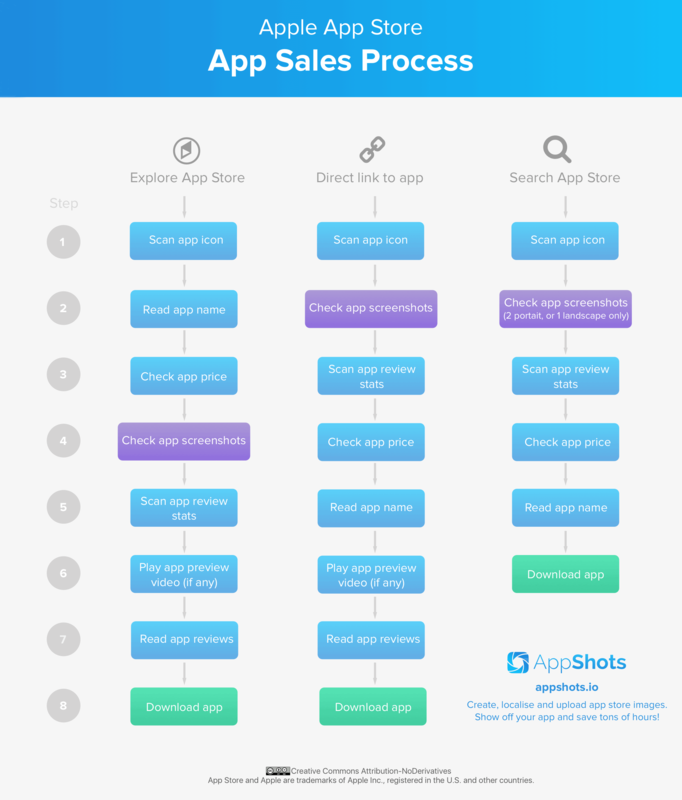 Take a minute to review the app sales process flow (infographic below) and see how it compares to the way you download an app. Feel free to share the image with others - you can use the code underneath it to easily embed it on your website too. Share this guide with them now. How do I take an app screenshot? What is ASO? How is it related to app screenshots? How will split-testing screenshots help my conversions? What requirements does Apple have for app screenshots? 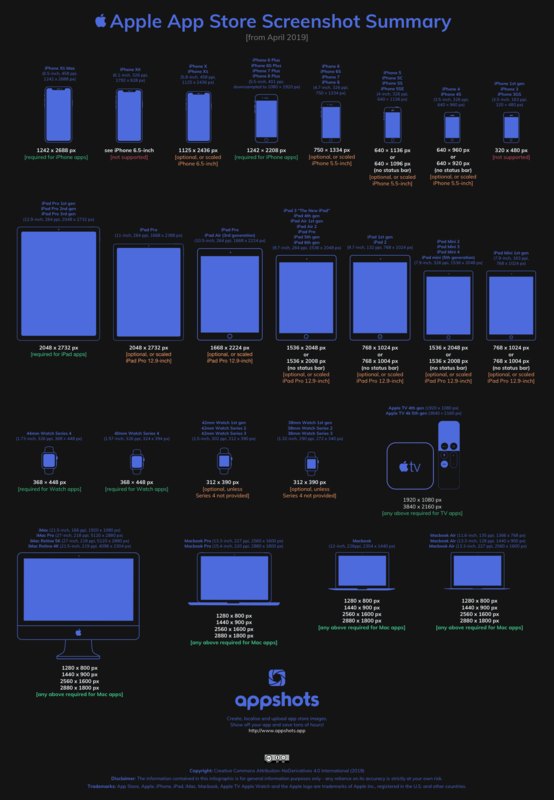 What are the screenshot sizes for all the Apple devices? There are a few ways to extract quality screenshots from your apps. Depending on the quantity and the tools you are use to using, some of these may be helpful... remember to take a look at the screenshot size summary in the section that follows to ensure you take all the necessary sizes for your app submission. If you have a version of your app installed on a device, the best way to take accurate screenshots is to use a Mac and QuickTime Player (pre-installed on OS X Yosemite and El Capitan). This comes with the added benefit that Apple will actually update the status bar for you automatically, so that your screenshots look great. ‍after the recording window opens, click the drop down arrow next to the record button and select your device from the list of cameras. Most developers use the functionality built into Xcode to take screenshots. 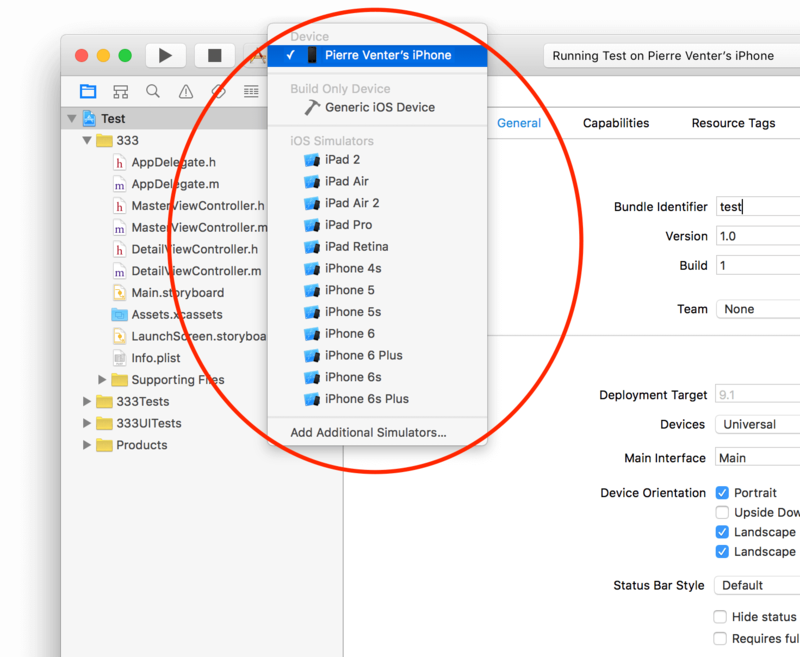 It is possible to take screenshots using Xcode's device simulators, but Apple advises against this, saying: "Take screenshots on the target device (not in iOS Simulator)". ‍choose Window > Devices, and select the device under Devices. ‍in the Device Information section, click Take Screenshot (or cmd + S). If you are developing for Apple TV, you'll need a USB-A to USB-C adapter cable (if your Mac isn't USB-C compatible). From there, you’ll want to select your Apple TV 4 in the Devices section (mentioned above) and then click on the Take Screenshot button as you do for other devices. If you are more technically inclined, you may be interested in automating the entire screenshot capture process. Felix Krause has created an opensource project called Snapshot (now part of Fabric) which you can use to automate the navigation of your app, including when to take screenshots. Since the inception of the app stores, it has become increasing more difficult to obtain "organic" app downloads (apps downloaded as a result of only app store searching). In 2014, it was estimated that you need 100,000 app installs to break into the Top 10 Overall Free category in the US - with an average cost per install of over $3, many developers did not have the funds to compete with larger companies... until ASO arrived. ASO is a strategy similar to Search Engine Optimisation (SEO) for web pages, but specifically applied to the app pages in app stores. ASO primarily involves the targeting of high traffic-yielding app store keywords, but has expended to cover all areas relating to the up-ranking of apps in app store searches. These can be categorised as "on-page" and "off-page" ASO elements (see the summary lists of each below). 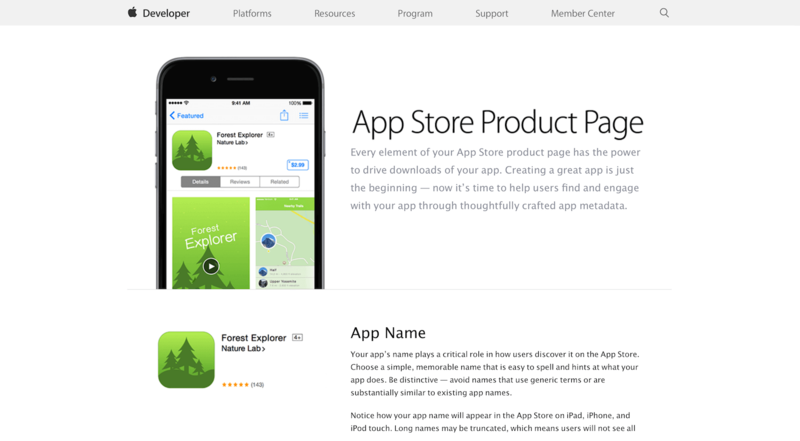 On-page ASO elements include all components that appear directly on an app page on the relevant app store. Off-page ASO elements are external factors that indirectly contribute to app downloads - these are specifically external to the app store listing of the app. The sheer quantity of apps in the stores has resulted in the need to optimize all elements of the app store listing as developers battle to get ahead of each other in the rankings. This has been further exacerbated through the uprising of "re-skinning" of purchased app source code. The result: app stores are now war zones where developers are crushed with dismal downloads if they dare not invest in ASO for their apps. By applying specific changes to these elements, ASO can increase the number of downloads an app gets, but this is becoming harder and harder to achieve because more and more developers are using ASO strategies (nullifying the impact of ASO for everyone). ASO is a moving target as app store algorithms change constantly, so in order to see consistent results, consistent and improved ASO effort is required. App screenshots are a key factor in on-page ASO. It is only one of many ASO components, but like all ASO activities, small changes add up. A good example of this is how the app stores display screenshots in the app store search results. 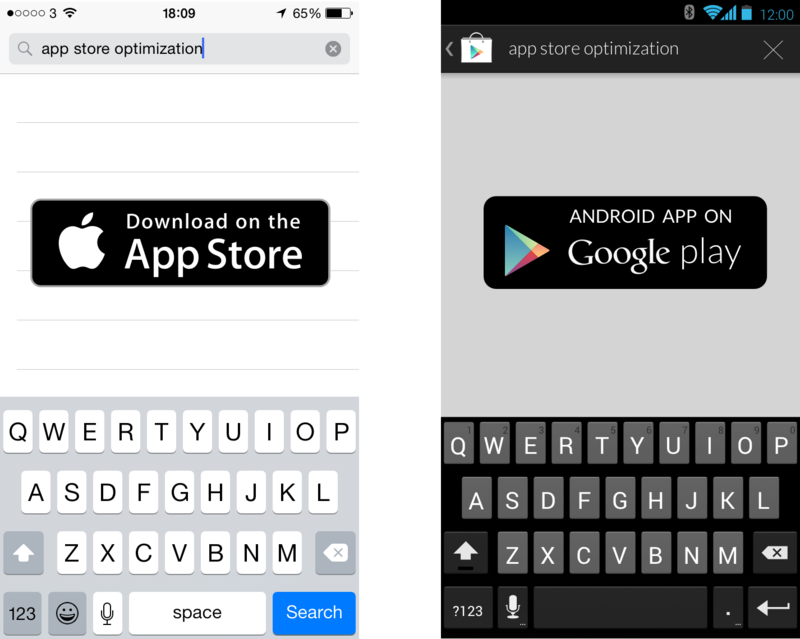 Optimised and good-looking screenshots will not only benefit you in on-page optimisation, but off-page ASO as well. We'll get more into the exact strategies you need to employ to your screenshots in the Design Tips section below in order to boost your On-page ASO, but you need to be aware of ASO generally and how app screenshots are one of the contributing factors. Split-testing tools can improve your screenshots conversion rates. Based on your app category, you can benchmark your screenshot conversions against averages to see if your screenshots are under-performing. Thankfully, the Google Play store gives you controls to run experiments with different screenshots - this allows you to split-test on actual potential customers - which is ideal. If you have an app that exists in both the Google Play Store and the Apple App Store, you can use these results to apply to your iOS app screenshots too (though the audiences are slightly different). FiftyThree, the company behind the Paper app, worked with SplitMetrics to help them best communicate the value of Paper and get customers to convert quickly. Their split-testing experiments showed that that the more screenshots differed, the more engage visitors were. They also showed that localized screenshots performed 33% better than the English ones, which is huge! This case study by Bamboo Apps shows how they also used split-testing to increase their conversions by 16.6% simply due to changing the order and the background of app store screenshots. This test also showed that using screenshots to entice users to scroll through all of the screenshots in the app listing works to boost downloads too (note: I've noticed that since case study was written, the order of the screenshots in the stores now have changed again, same as Apple App Store - it would be nice to know if further tests resulted in even more higher conversions). Without split-testing, Rovio would not have learnt that portrait screenshots did higher conversions on Angry Birds 2 (not the norm for gaming apps, so don't copy them without evidence on your own app). After a series of experiments, they managed to increase downloads by 13% by combining a number of different designs. For an app developer as popular as Rovio, this 13% meant millions of additional downloads, compounding over time. As an app developer or app designer, there are quite a few Apple rules we need to highlight. Some are more important than others, some are not explicitly enforced and others Apple has come down very hard on. There is a ton of information provided by Apple on what you should be doing (access all this information from the App Store Distribution Guidelines page), so I'll focus the more important things you need to know to avoid having issues with Apple over your screenshot designs. I've spent quite some time reviewing these documents and I've tried to extract the key points you need to know - these are listed at the end of this section (there are a lot, so it should really be used as a quick reference), but there are a few key areas we'll go through first here. At times I felt the Apple guides slightly contradicted one another (probably due to my interpretation or ambiguity of language), so as I don't want to be personally responsible for any app being rejected or for anyone getting a legal letter from Apple, please contact Apple directly via appstoremarketing@apple.com if you are ever in any doubt on what you can or cant do - the information below is my personal [as opposed to professional] interpretation (please don't sue me). Don’t place the screenshot inside an Apple device image. Always remove the status bar from screenshots to present a cleaner look. iTunes Connect expects screenshots of dimensions that exclude that area. Don’t combine multiple app screens in the area designed for a single app screen. Take screenshots on the target device (not in iOS Simulator). To do this, hold down the Power button and press the Home button. The screenshot is saved to the Camera Roll. Provide screenshots in portrait or landscape mode. 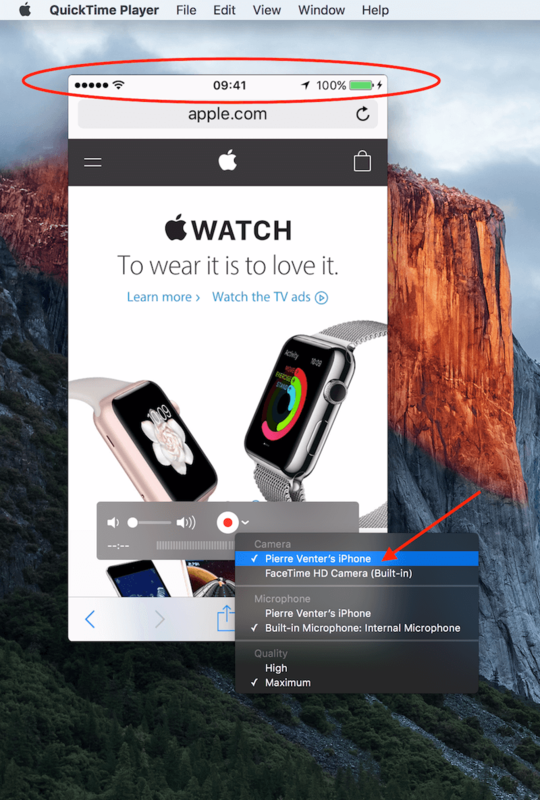 Use high-resolution Retina devices to make the screenshots. Avoid overworking the screenshots with marketing messages and additional graphic treatments. Only add minimal graphic overlays when it’s necessary to explain the image. Don’t forget to localize screenshots. Before taking the screenshots, set the iPhone or iPad language from Settings > General > International > Language. Set the Mac language from System Preferences > Language & Region. Don’t reference specific prices in your app screenshots. Referencing a local currency can mislead customers in other store territories and cause confusion. If you get those points above right, then you are most of your way there to keeping Apple happy with your screenshot submissions. I get the feeling Apple really doesn't want you to adjust App Store screenshots at all... even though they allow it to take place. Apple makes it clear that we should not abuse their kindness: "Avoid overworking the screenshots with marketing messages and additional graphic treatments" and "Only add minimal graphic overlays when it’s necessary to explain the image". Apple also warns that they will reject your app if screenshots are: "not relevant to the content and functionality" and also states that "Screenshots should display only the actual screen content from your app that a user will see when the app is being used ". Despite Apple saying "Don’t combine multiple app screens in the area designed for a single app screen." we still see many screenshots that directly counter this statement. Now, we've seen Apple clamp down in the past on some rules (requiring App Store screenshots and icons meet 4+ age rating standards by removing guns from screenshots) only to relax this again (quite a few guns here), so I personally think it is very unlikely they will take the big step to ban all edited app screenshots, as developers need to be able to market their apps, and plain screenshots just cannot convey enough information to a potential customer. Better marketing for developers, means happy developers and more sales for Apple. Fortunately Apple sees its relationship with app developers as a symbiotic one - this means they are willing to compromise, but its best not to push your luck. 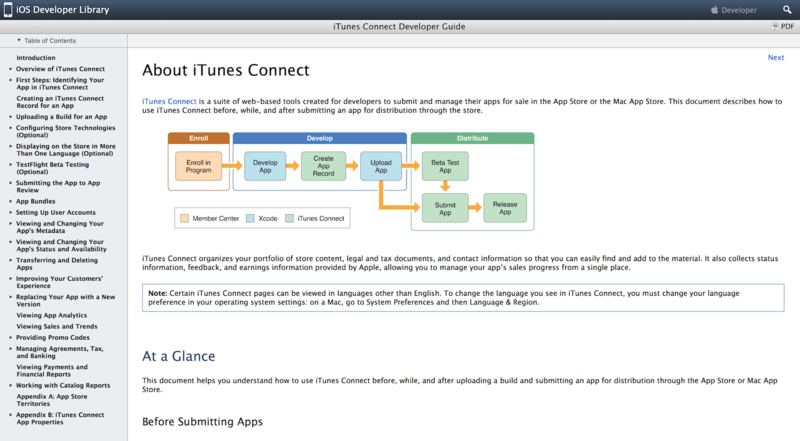 Officially, the iTunes Connect Developer Guide says: "Don't place the screenshot inside an Apple device image". It is widely accepted that this is not enforced by Apple yet is explicitly clear in its instructions to developers. This is also repeated in the Apple App Store Marketing Guidelines: "Do not incorporate Apple product images into your screenshots on the App Store" (is Apple talking about their own product image here perhaps?). And again on the App Store Product page, which I read as more of a suggestion: "Add copy and graphic overlays only when you need to provide context for the images. Avoid framing your screenshots with Apple products, as they do not add value to your message and reduce the space available for your screenshots." Not specifically related to App Store screenshots, Apple does emphasize that you should only be using device images that can run your app: "Feature only products for which your app is currently developed". This relates to screen resolution and actual ability to run on a device, so keep that in mind if you do decide to use a device in your screenshots. Using device images in your screenshots doesn't necessary make things clearer to the user about what your app does (but that can be the case) - it is really just another aspect you can use to improve the aesthetic quality and attractiveness of your screenshots - and every bit helps. Apple generally doesn't want you displaying the status bar in your app screenshots and it is very particular about what you should show: "Always remove the status bar from screenshots to present a cleaner look. iTunes Connect expects screenshots of dimensions that exclude that area". You have the option of uploading your 3.5 inch, 4 inch and iPad screenshots with or without the status bar, both are accepted by Apple. However, for 4.7 inch and 5.5 inch devices, Apple does not accept cropped uploads (without status bar). Also, if your app runs full screen, it is acceptable to extend your app screen image over the status bar. If you do want to keep your status bar, make sure it looks like this one below - which Apple uses themselves for all their own app screenshots. But again, this is no enforced fully enforced by Apple. Many high-profile screenshots (Facebook) today still have status bar's clearly displayed that do not confirm to this regulation. time should also be set to 9:41. This Sketch template might be helpful if you need to adjust your status bars after you've captured them. Simply change the background layer color to match your app's color and super-impose them over your app screenshots using Sketch. As briefly mentioned above, it's also useful to note that for 3.5-inch (iPhone 4, 4S), 4-inch (iPhone 5, 5C, 5S) and iPad (excluding iPad Pro) screenshots, the status bars are technically optional (though Apple asks you to exclude them) as you are free to upload screenshots that either include or exclude the status bars when you submit your app (see the image below which is directly from the iTunes Connect Developer Guide). So perhaps Apple is moving away from the necessity of removing status bars from screenshots, as newer devices don't seem to have this option. A full summary of the screenshot requirements for all Apple devices is provided further down. Understanding (and keeping up with) resolutions and display sizes is vital to screenshot submissions (as Apple has strict requirements for app metadata). But more than that, understanding which phones your app needs to support (and the screenshots you should focus on) will help focus your app downloads. Older studies indicate that of the over 100 million iPhones in use in the US, nearly two-thirds were iPhone 6 or later - that still means that over 30 million iPhones users still need screenshots with smaller sizes. This handy summary below provides a quick reference for the screenshot sizes you need to cater for with your App Store submissions. Feel free to use this infographic on your website by using the url beneath the image below. You can also reference back to this summary specifically via https://www.appshots.app/sizes. Apple changed a lot of the screenshot submission requirements in March / April 2019 in an attempt to simplify the process (see Apple's summary screenshot specifications for more details) - the above infographic specifically includes details as to which screenshots are required, optional or not supported. For iPhone, screenshots for 6.5-inch (iPhone Xs Max) and 5.5-inch devices (iPhone 6s Plus, iPhone 7 Plus, iPhone 8 Plus) are required. For iPad, screenshots for 12.9-inch iPad Pro (2nd generation) and 12.9-inch iPad Pro (3rd generation) are also required. However, you have the option to use these screenshots for other smaller device sizes (see images below of the Apple's App Connect) which Apple will scale down for smaller device sizes for you. If your app uses the Messages framework or WatchKit, additional screenshots are required. For tvOS apps, a separate set of screenshots are also required. 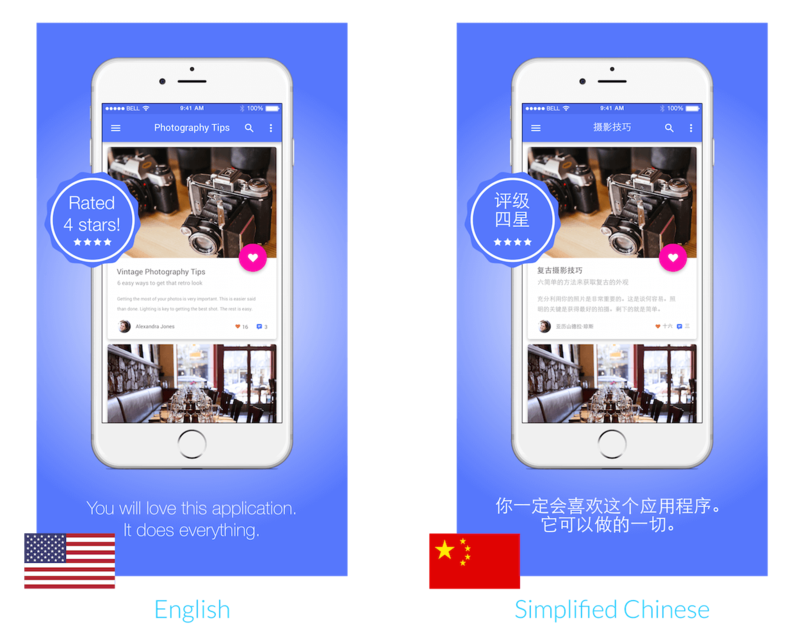 If you have indicated your app is localised for other languages, it is optional to upload screenshots for those languages (as the primary language meta data will be used instead), but this is highly recommended to show potential customers that your app is localised in their language. For App ‍Store review purposes only, you need to include screenshots of all the In-App Purchases (this will not be displayed on the App Store) - these must show each In-App Purchase in action from the app user's perspective. You can only edit the screenshots if app is in an editable state, so do not submit the app for Apple review until you are happy your screenshots are correct. 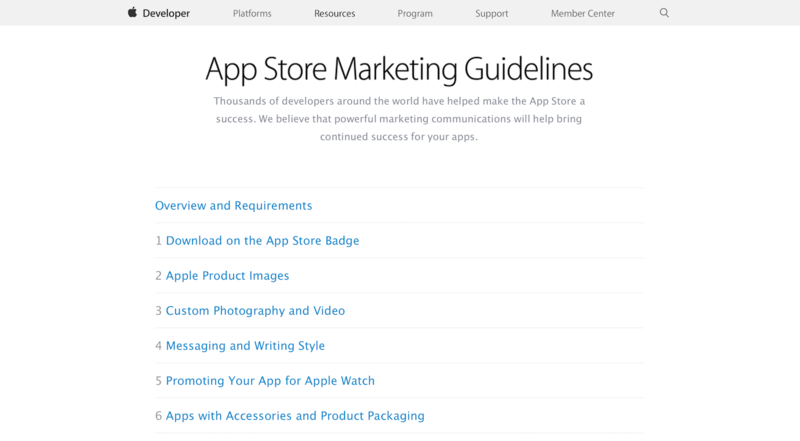 As I mentioned at the start of the section, there are a lot of Apple guidelines to read and take into account while marketing your App (you can access of this information from the App Store Distribution Guidelines page). If you don't want to read the detail, just go to the next section, where I will talk more about screenshot design tips. I've summarised what I believe are the important and relevant extracts from each of the key Apple guideline documents below. There is a lot of detail here, so its best to use to this as a quick overview, but for any specific questions or to ensure full compliance, its always best to read the full applicable Apple document itself, especially as Apple does update these from time-to-time. "Don’t place the screenshot inside an Apple device image." "Always remove the status bar from screenshots to present a cleaner look. iTunes Connect expects screenshots of dimensions that exclude that area." "Don’t combine multiple app screens in the area designed for a single app screen." "Take screenshots on the target device (not in iOS Simulator). To do this, hold down the Power button and press the Home button. The screenshot is saved to the Camera Roll." "Provide screenshots in portrait or landscape mode." "Use high-resolution Retina devices to make the screenshots." 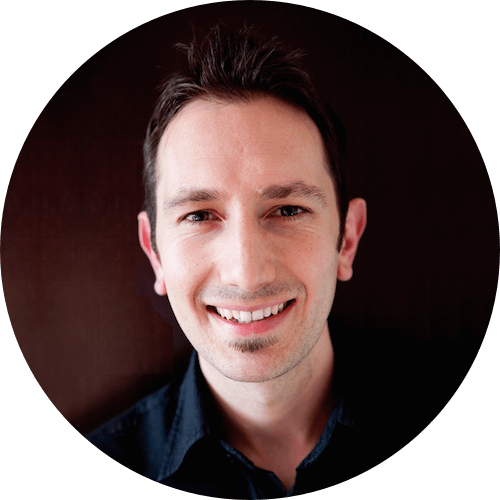 "Avoid overworking the screenshots with marketing messages and additional graphic treatments." "Only add minimal graphic overlays when it’s necessary to explain the image." "Don’t forget to localize screenshots. Before taking the screenshots, set the iPhone or iPad language from Settings > General > International > Language. Set the Mac language from System Preferences > Language & Region." "Don’t reference specific prices in your app screenshots. Referencing a local currency can mislead customers in other store territories and cause confusion." "The first screenshot appears as a search result on the device App Store on iPhone and iPad if no app preview is available, so place the best screenshot first." "App bundles can display a maximum of ten screenshots, with an equal number of screenshots represented for each app"
"3.5-Inch Retina Display Screenshots (required)" - "One screenshot is required. Up to four additional screenshots can be uploaded. Don’t include the device status bar in your screenshots"
"4-Inch Retina Display Screenshots (Required)" - "You’re required to upload at least one of these screenshots. Up to four additional optional screenshots can be uploaded. 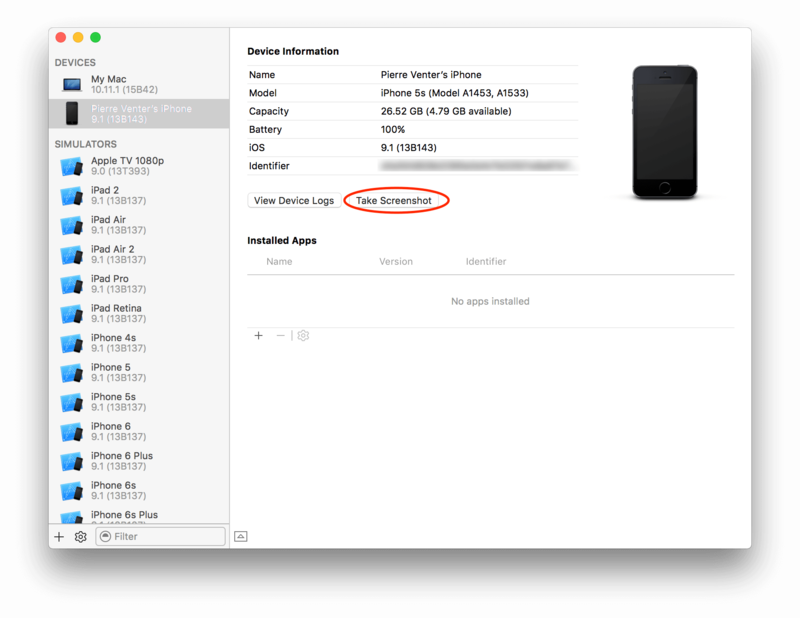 Don’t include the device status bar in your screenshots"
"4.7-inch Retina screenshot" - "If your app indicates that it is optimized for the iPhone 6, at least one 4.7-inch screenshot is required. Up to four additional screenshots can be uploaded." "5.5-inch Retina screenshot" - "If your app indicates that it is optimized for the iPhone 6 Plus, at least one 5.5-inch screenshot is required. Up to four additional screenshots can be uploaded." "iPad Screenshots (required if app runs on iPad)" - "If your build indicates that your app runs on iPad, you’re required to upload at least one iPad screenshot. Up to four additional screenshots can be uploaded. Don’t include the device status bar in your screenshots." "iPad Pro Screenshots" - "Up to five optional screenshots can be uploaded. Don’t include the device status bar in your screenshots." "Mac (OS X) Screenshots" - "One OS X screenshot is required for Mac apps; up to four additional screenshots can be uploaded." "tvOS Screenshots" - "If your app has a tvOS platform, at least one screenshot is required. Up to four additional screenshots can be uploaded." 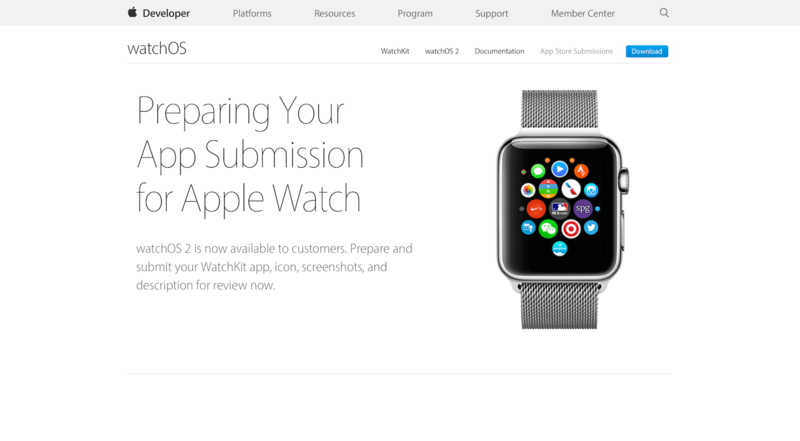 "Apple Watch Properties" - "One screenshot is required. Up to four additional screenshots can be uploaded. Screenshots should suggest what the WatchKit extension does." "Use images captured from your app’s UI to visually communicate your app’s user experience"
"Your first screenshot should encapsulate the essence of your app, as this image displays in search results when no app preview is available"
"Focus each subsequent screenshot on a main benefit or feature so that you fully convey your app’s value"
"Add copy and graphic overlays only when you need to provide context for the images"
"Avoid framing your screenshots with Apple products, as they do not add value to your message and reduce the space available for your screenshots"
"Apps with names, descriptions, screenshots, or previews not relevant to the content and functionality of the App will be rejected"
"Apps with App icons, screenshots, previews, and images displayed when an Apple TV app is in the top shelf of the Apple TV home screen that do not adhere to the 4+ age rating will be rejected"
"Apps with screenshots, previews, and marketing text that do not clearly identify supplemental content or items that must be purchased separately (e.g. using IAP) will be rejected"
"App previews and screenshots that include content played or streamed via the app (e.g. music, video, and related cover art) that is not licensed for use in the preview or screenshots will be rejected"
"do not frame the screenshot in an Apple Watch"
"void placing your WatchKit app within your iPhone app screenshots"
"Feature only (Apple) products for which your app is currently developed." "Do not use a (Apple) product image if your app is not designed to display on the screen size and resolution of that product. For example, do not feature iPhone 5s unless your app displays at 326 pixels per inch at 1136-by-640 resolution." "Do not feature Apple Watch images if you do not offer an app or app extension for Apple Watch"
"Always use the latest-generation Apple-provided product images"
"Do not display an Apple product with a blank screen"
"Do not display an Apple product on a cluttered background"
"Do not show Apple Watch with other Apple products"
"Display your app on the screen exactly as it appears when your app is running"
"Do not add promotional copy to the screen"
"Place violators, bursts, and promotional copy beside the product images, not on top of them"
"Never display the Apple Watch, iPad, iPhone, iPod touch, or Apple TV Home screen or any icon or image that you do not own"
"The status bar shows a full network icon or product designator, a full Wi-Fi icon, and a full battery icon"
"If your app runs full screen, it is acceptable to extend your app screen image over the status bar"
"Apple Watch images do not include a status bar"
"Do not show the charging icon on your (Apple Watch) app screens"
"Do not alter, crop, crop, cut off, or obstruct, tilt, angle, flip, spin, rotate any part of the Apple product images"
"Do not add reflections or shadows (to the Apple product images)"
"Do not add graphic elements that appear to enter or come out of the product screen." "Do not surround the product with a highlight"
‍"Screenshots should display only the actual screen content from your app that a user will see when the app is running." "Do not die-cut a printed promotion in the shape of an Apple product image"
"Show only content you have the legal right to display"
"It is acceptable to show people interacting with the Apple product in an authentic way. Portray the interaction in a simple, clear manner"
"Do not engage in “suspension of disbelief” by showing Apple products or your app in a fantastic or unrealistic manner"
"Do not add cases or covers to Apple products"
"Do not alter or distort an Apple product in any way. The product’s color, shape, size, and form must be accurate"
"If the status bar is clearly visible on iOS devices, make sure that the battery and Wi-Fi icons are full and that no carrier name is displayed." "Do not show an Apple product along with a competitive product from another manufacturer." "Do not display the Apple Home screen or Apple icons"
"Do not display a blank screen on an Apple product"
"...say “app name for iPhone” or “app name for iPad," or use a phrase such as “works with” or “compatible with.” Do not say “iPhone app name.”"
"Do not display an image of iPhone 6 with Apple Watch"
What can I do to improve the design of my screenshots? What design element can I consider? What should I avoid in my screenshot designs? The quote above has since been removed from Apple's iTunes Connect Developer Guide - yet, it still holds true. The first part of this quote actually said: "One of the most important elements to the success of your app is your screenshots." App screenshots have become a vital tool in the developer’s fight for downloads. Both Apple and Google have restuctured their app stores to favour good looking screenshots, and punish poor ones. In the section below, there are a number of screenshot design tips (in no particular order) to help your take your screenshots to the next level. Most of the examples used are to illustrate screenshot design principles only, some are mainly just to display examples of specific techniques. As there are many screenshot design objectives to consider, it is not expected that you should include all of them in your screenshots - choose carefully and use the ones most appropriate to your app or your screenshots might suffer "design-overload". Its best to speak to a graphic designer, who will understand how to apply these suggestions to basic design principles while keeping your designs looking great. There are quite a few examples below (it may seem like a lot to take in), but the example screenshots will quickly convey the essence of the design concept being discussed, so this section shouldn't take too long to read (but may appear that way). Use Proper Screenshot Tools (like AppShots)! Producing App Store screenshots can be a pain-staking, expensive and inefficient task. Sadly, when it comes time to launching apps, creating beautiful and localized screenshots is the last thing developers have time for. We believe this is the most important app marketing and App Store Optimization (ASO) activity a developer can invest in! With AppShots.... create polished App Store images (that sell) within minutes, using stunning pre-made templates, graphics and photos. Significantly reduce time to produce and manage screenshots required for app stores, while boosting downloads and app-generated revenue. Get the latest designs, devices and save tons of time! Save Time & Money: AppShots crushes the design time, without breaking a sweat. Easily manage app updates in seconds. No designer costs, and no waiting. Increase Downloads: Make app screenshots that sell. We handle the design work, you just select one of our beautiful templates and AppShots will make your life easy! Export & Upload Easily: Export hundreds of screenshots at once and instantly, all in high-resolution PNG files ready for upload to app stores. Flexible Pricing: Only have a few apps and don't need AppShots that often? No problem! Pay only for the screenshots you need, or choose a plan that gives you unlimited screenshot exports. Want to know more? Take a closer look at what AppShots can do... or try it out now. The Apple App Store allows both JPG and PNG image formats to be submitted. Generally speaking, JPG files can be rendered at lower quality settings, which is meant to reduce the overall file size, whilst PNG files are suppose to be lossless (i.e. matches the original quality). Where possible, use PNG files (this is the format Apple uses when it takes screenshots). To save time, many developers use the largest screenshots for all devices. This can be a mistake, as font typefaces are slightly different for each device, and scaling is not always applied correctly. Most visitors to your App Store page will not notice, but hard to read screenshots could put them off from downloading the app. If developers use smaller screenshots and then try scale them up, they will become blurry. The best solution is to take individual screenshots for each device your app runs on and then submit these to app stores respectively. Top of the screenshot design to-do list, is localisation. If you haven't done it yet, you are seriously missing out on extra app downloads. Take a look at Uber's screenshots below which shows localisation for 3 different territories. These even go as far as to localize the map location in the first screenshot. These also show localized currencies, both on the app screen (screenshot 4) as well as in the discount amount in the marketing text above the screenshot (see screenshot 5). Make your 1st screenshot as appealing as possible (your first 2, if you aren't using a preview video). Your first screenshot needs to encapsulate the essence of your app - its your "elevator pitch" to the store visitor, explaining your app's value proposition. This message needs to come across quickly and clearly. Don't try to cram too much into this screenshot - avoid complicated backgrounds as well as adding too much text as that could reduce conversion rates. If you aren't able to capture the core message of your app in a single screenshot, choose the best one and use that. The Over app's first screenshot below shows a collection of examples of artwork you can create with the app - this quickly explains the apps benefits to the store visitor. 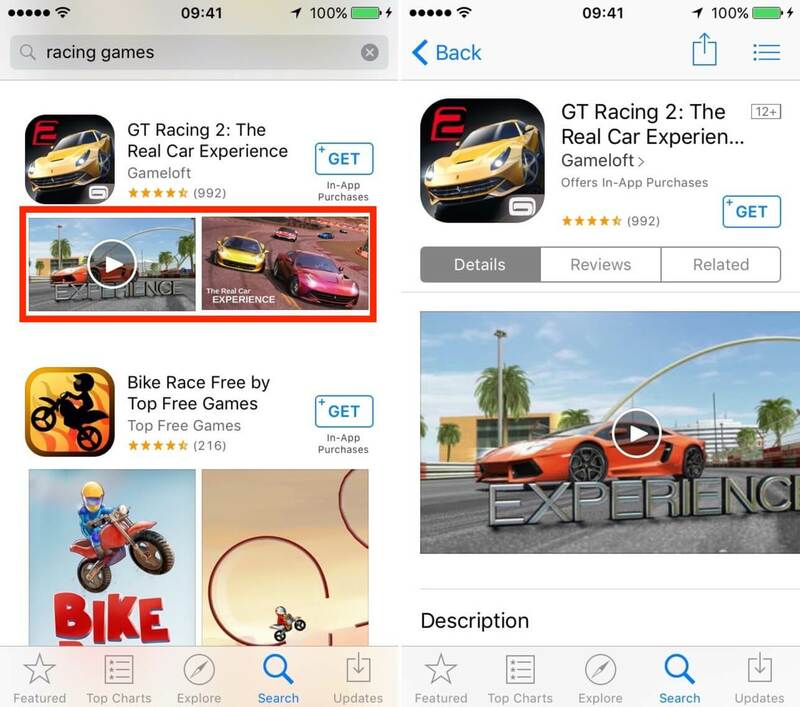 The Apple App Store allows developers to upload 5 screenshots (8 for Google Play Store). Unless you are Snapchat (who only had 3 screenshots for many years until recently), it is strongly recommended that you use all available screenshots. Each screenshot is an opportunity to sell your customer on the three questions they ask when looking at a new app. You only have a few seconds to grab their attention and convince them to download the app - each screenshot propels your app exponentially closer to being downloaded in the very short amount of time you actually have the customers attention. If you aren't using the first summary screenshot (mentioned above), then make sure that the 5 top features are emphasised clearly in each of your 5 screenshots - ideally this is only one key feature per screenshot. These should be the features that add the most value to your customers. First decide on a feature, and then work out the best way to show this on a single screenshot. Spotify uses few words to describe a key feature on each of its screenshots below. Keeping text and backgrounds clean and free from over-clutter will ensure your message to your potential customer comes through loud and clear. Use high contrast, open spaces, as well as clear and readable fonts which will naturally help to focus the visitor's attention on the screenshots themselves. Dropbox sticks to white backgrounds and white devices, which also matches their product's styling. This puts the screenshots themselves font-and-centre for the store visitor to look at. Mentioned earlier on, split-tests have shown that the more visitors scroll across screenshots, the more they are likely to download your app. Having very different screenshots (especially making the second screenshot strikingly different from the first) keeps the visitor guessing and naturally curious about "what comes next" - this enticement urges them to scroll across to see more. Facet uses screenshots that alternate device images at the top and bottom, and also vary the background color significantly. Very similar to the above, its possible to use linked graphics to encourage visitors to "see more". By linking screenshots, you can create the impression of a single large image. By doing this, visitors will be compelled to try see the rest of the image - this increases scroll rate and more scrolling means increased downloads. Using an optical cue to get users to scroll more to see the rest of the image is a clever way to induce screenshot scrolling. Last Minute Travel Deals below uses two different linked backgrounds, which has a double impact on the scroll rate - they also link the device in the last two screenshots to make sure the user gets through all 5 screenshots they have. Bustle, further below, links all screenshots by splitting images of hands holding devices. Screenshots can also be grouped together if you are trying to emphasise a number of key steps or a process. Be careful, as this consumes a number of screenshots which could potentially only be a single feature, so only do this if you are convinced it is worth giving up a number of screenshots for, i.e. the feature is the most important aspect of the app. YPlan (below) uses the middle 3 screenshots (green backgrounds) to explain the booking process of their app, the core functionality of the app. Boring screenshots do not encourage downloads. Screenshots that are too visually similar hurt conversion rates. Login screens, loading screens or even on-boarding screens don't give store visitors something to get excited about! Get them curious about what will happen next in your app by using situations that convey something good is about to happen to them. Ensure dialog boxes aren't blocking actual features either. Below, easyJet connects with the visitor through exciting backgrounds by reminding them why they need to book a flight. Use a screenshot to create a fully-customized marketing image and use this to expand and deepen a message to the store visitor. There is always a chance Apple might not approve this, but there are many examples of this in the App Store already (see below). If your app has a launch image - you can use that and adapt it with additional overlay text (this might be more acceptable to Apple as technically the launch image is a real app screenshot). 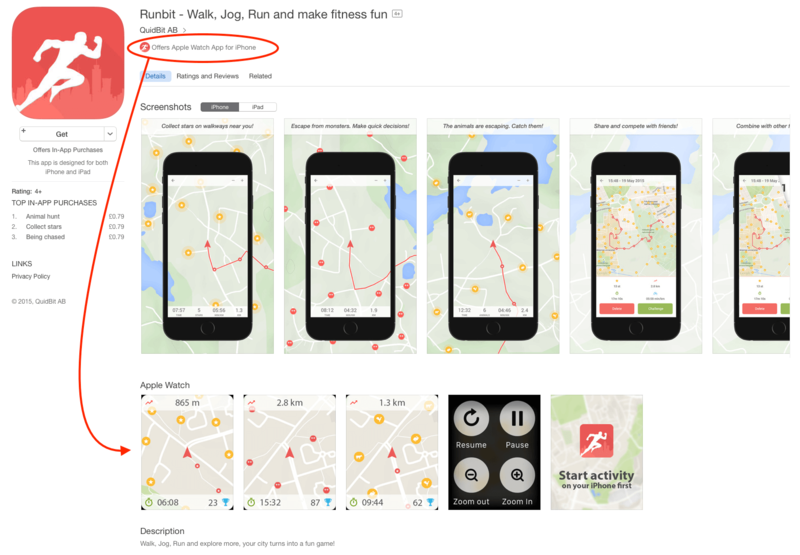 The examples below show how app developers have used images, icons, custom graphics and photos to convey marketing messages to store visitors that standard app screenshots are not capable of doing by themselves. Social proof is a powerful psychological force - show visitors your app is already popular, and that they are missing out by not joining in by using your app. Social proof leverages the assumption that if an app is popular, it must be good. This strong emotive phenomenon can help your app quickly build trust with a store visitor (as long as your statements are factual). The screenshots below emphasize how popular the apps are by referring to the numbers of users currently enjoying the app. The WeChat app actually uses the word "billion" which is as good as social proof gets. Bugs and Buttons app uses an accolade to show how well-liked it is ("most positively rated Educational App for iOS") and Loopy HD reminds store visitors that A-list celebrities Jimmy Fallon and Will Smith like the app too. Very similar to Social Proof above (but a lot more focused and specific), testimonials (or even extracts of actual reviews) can often convey more to a visitor than a standard boring screenshot. Careful not to overdo this one as it soon looses it's authority. A subtle way to introduce this is to simply add a testimonial or review comment as a text overlay to an existing app screenshot. Uniqueness and relevance are powerful attractive forces. As mentioned above, if the customer sees that your app has something to offer that they cannot get elsewhere, you have a distinct advantage over your competitors. Use text in your screenshots to make sure the customer knows exactly what they will be missing out on unless they use your app. Actually use the word "exclusive" in the text in your screenshot, but take it further to explain what app users will actually get from the app that cannot be obtained elsewhere. This is a great way to stimulate action and tip store visitors over the edge into downloading the app. The more specific you can be, the greater the perceived value and exclusivity of your app, e.g. "more than 6000 app exclusive hotel deals". Take every opportunity to encourage the user to take action after viewing your app screenshots. Provide a promotional / coupon code the user can make use of inside the app - this gives them a reason to download the app immediately. If your app is currently priced lower than normal, you could also use this screenshot as a way to convey a time-limited offer, prompting an instant download from the visitor as well. Uber uses a coupon code in it's screenshots, and SelfieLab Camera announces the reduced app price by taking up an entire screenshot - see screenshots below. Understanding how a customer thinks is vital. Users are not inherently after features - they are after value. Make it clear to the user what benefits they will receive after using your app. 3 Minute Mindfulness app uses screenshot overlay text to constantly remind the user about why they are looking for this kind of app, touting a relaxed, anxiety-free, happier state of mind as the key benefits from using the app. Here, almost all the screenshots are working together to convey this very clear message to the store visitor. Use "real" (or what looks like real) app user data, taking screenshots using the app in a real-life situation where possible. Showing high-scores, rewards, or even large numbers of followers / likes give your screenshots more validity and subtly shows the customer how the app works and what they might be able to achieve with it. 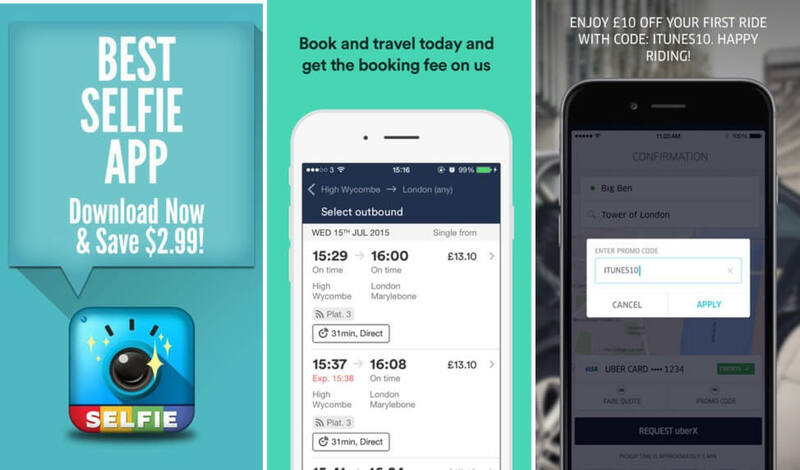 In the screenshots below, Bizzby shows how cheap (actually shows the price of a booking, "£12 per hour"), quick ("arriving in 60 minutes") and satisfying ("5 star review") their app is to use - all of this simply by displaying relevant user data on the screenshots. Show off the uniqueness of your app by explaining its key gestures, interactions and how it works. Use overlays to explain required motion or swipes (especially the ones which add value). Using special illustrations help to reveal how the user engages with the app. This should not be confused with information that would normally appear in a user guide or help manual - the focus here is to explain how the app delivers benefit. These types of screenshots are essential to apps that are more interactive or are used in unfamiliar ways. As you can see below, Bounden is a unique dance app that allows two people to dance together which requires some explanation in order to convince the store visitor that this app has value - a simple illustration quickly conveys how the apps works with two people. Fyuse is a 3D photo app that shows the reader how to take 3D photos. Paper app shows how someone could use the app with a touch pen. Tailor explains how it stitches app screenshots together into a single long image. Sleep Better explains how and where to place the device while sleeping. Connect with the visitor through emotion within the screenshots - trigger feelings they are likely to experience if they actually used your app. The use of emotive images or text engages the store visitor on a sub-conscious level and this triggers internal urges to download the app. In the screenshots below, Blume is a dating app that uses photos of happy people to connect emotionally with store visitors - this inspires them to try be like the people they see (as they also want to be happy). Having attractive people is another emotional draw as store visitors are also hoping to find attractive people to date, which will make them very happy too. Further down, Mosaic Photo Books uses emotive text to stimulate emotions by getting store visitors to think about the emotions they (or they people they buy a book for) will feel after using the app. The poster frame (video thumbnail) of your preview video is another opportunity you can utilize to market your app. Apples says this about the preview thumbnail: "This is one of the first elements a user will see on your product page, so ensure the preview poster frame is visually compelling". If you do have a preview video, then you can actually use this as your first screenshot but you will need to ensure your select an appropriate frame on your video (you can choose a new frame in Apple's App Store Connect by hovering over the preview image and clicking the "Edit Poster Frame" button). Some developers (see Betfair Sports below) link the poster frame to the first real screenshot to create the perception of a larger, single image, but this is a lot more work. Here, Betfair have added social proof to the poster frame as well ("4.5 star App Store rating"), and included an incentive to download the app immediately ("Get 3x £10/ €10 free bets when you join") on the 1st real screenshot - as it appears to be one large image, users will be likely to notice it at the same time. Generally its best to use the latest Apple devices for this, but it can also be a good idea to customize your screenshot devices to match the actual device the screenshot is being seen by the store visitor (e.g. use an image of an iPhone 4s if the store visitor is looking at 3.5-inch screenshots). However, that can also give the impression that your app has not been updated in a while so ensure this messaging is clear to the visitor. There have been many Apple-approved app screenshots featuring devices, even devices that do not actually look exactly like iPhones (a while ago, an iOS app called Яндекс.Переезд famously got into the Apple App Store with a screenshot of an Android device). Here are a few different examples of devices below, some have very unique design styling so unless your designer tells you otherwise, its best to stick with realistic or flat (but accurate) Apple devices (current Apple generation). Contradicting the previous tip somewhat (again, use what's applicable to you), you can still convert your screenshots into marketing billboards without using an actual image of a device. This has the added benefit of providing more space for marketing copy or other images, and (debatably) increases focussed attention of the visitor on the actual app screenshots themselves. In the screenshots below, HIPSTAMATIC Camera uses a screenshot and a hand, which looks clean and still gives you spacial contextualization. Evernote squeezes as much of the real screenshot into the image as possible, keeping the overlay text on top to a minimum. Shadow Player doesn't even use overlay text, settling to just leverage the pull potential of the raw app screenshot itself, but hoping to still utilize a nice background too. As Apple only allows 5 screenshots per app, a way to squeeze in a few more is to use multiple app screenshots within each App Store image. This works well with screenshots that are generally similar, but allows you to highlight the differences easily, and in a compact way. This could induce information-overload in the store visitor, so use it sparingly (e.g. only do this on 1 or 2 App Store images). In the examples below, Emoji ;) makes good use of 4 half-screenshots to show the different themes and categories the app user receives - this is still clean and not cluttered, and also saves 3 screenshot places! Next Keyboard does something similar but sacrifices overlap on the multi-screenshots to give them a bit more space at the bottom of the App Store image for some overlay text. Citymapper pushes the boundary slightly by squeezing in 4x 3/4 screenshots, as well as adding in text for each. Clear Day angles the screenshots to further create the illusion of space. Having the ability to sync your app across devices is a major selling point, but beware, most users have come to expect this as standard nowadays, so you need to decide if this is really worth using a entire screenshot for. 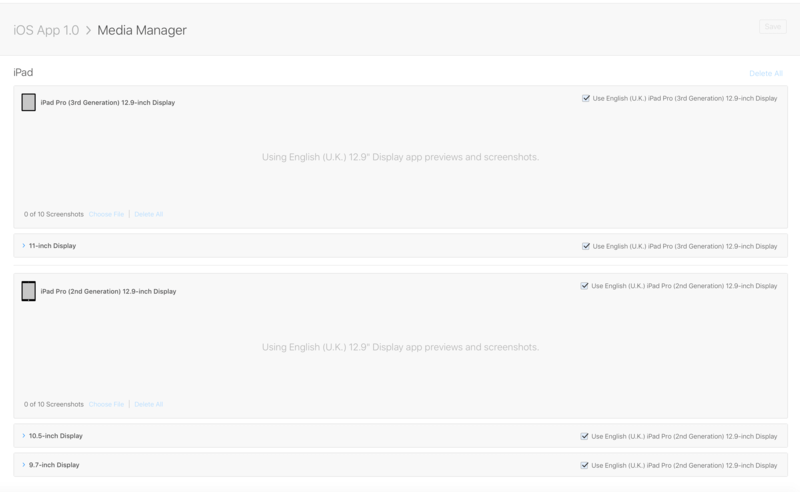 All of the screenshots below illustrate app access across multiple devices / platforms. Using too many device images can create a cluttered screenshot, so find a good compromise to get the message across clearly. Using an eye-catching background that highlights the context for the use of the app adds to the visitors understanding of what the app does and who it is meant for. Find your audience and use background images they will like to show them you know who they really are. Tayasui Memopad and Relaxia use attractive and relevant background images to connect with App Store visitors. Any words you add to your screenshots must be easily readable, short and understandable. Spacing and line heights are important, align these appropriately. Make sure there are no spelling errors. Large clear fonts that are visible at small sizes are best (many visitors don’t bother to open a full-screen gallery and instead just glance the thumbnails of the App Store images). Use action words to encourage the visitor to do something - words like “start” and “go” work well, especially in the preview video. Remember to localise all text for international markets where appropriate. Test our your screenshots before you finalise them - anticipate what they will look like in the App Store and understand which parts are hidden until scrolled. When using any supplemental images and graphics, try not to over-clutter the screenshot (less is more) - only use what is sufficient and necessary to convey your message as anymore than this is likely to create confusion and dilute what you are trying to say. Be careful not to use images that are copyrighted as Apple will not hesitate to pull your app from the store if someone complains to them. In the screenshot examples below, Ultimate Guitar Tabs uses clear bold text and overlays a badge for additional info. News360 and Pocket use overlay boxes to point out features discretely. LateRooms and Zipcar UK keep the screenshot clear (yet partially off-screen) but instead incorporate icons and text alongside the screenshot to clarify their message. Further below, Relax Melodies Seasons incorporates two text styles and a text background. Invoice2go keeps it simple with just some text, and an arrow / circle annotation. Scanner & QR Code Reader uses a small portion of the screenshot to overlay integration icons. Running for Weight Loss uses a number of overlays highlighting various benefits and features. Apple has been known to reject screenshots that are covered too much by hands images - if over-done, this also gives the impression the app has "something to hide"
be careful not to use hand images unnecessarily when it is already clear how the app works - store visitors are intuitive enough to understand how apps generally work, so only do this if you absolutely think it's needed to explain how your app functions. In the examples below, not all the hands images are essential but they still increase the overall aesthetic value of the screenshots. Duckie Deck Card Wars is a great example of how using hands illustrates game-play in action. Star Chart gives the store visitor a vivid idea of what it's like to use the app by holding it up to the sky, and tripwolf shows us how the organising functionality works in their app by using the finger to drag images. Bring attention and focus to specific features by magnifying areas of the screenshot. This gives the impression that the store visitor is looking at the screenshot through a magnifying glass. This effect spotlights very specific features and ensures these are not missed or skipped over. Adding a large magnified area does unfortunately block out other portions of the app screenshot, so ensure you position this appropriately. All of the screenshots below use magnified areas to focus attention. Both Pacemaker and SwiftKey use very large magnified areas, leaving the visitor in no doubt about which features to look at. Using smaller magnified areas (even 2 of these simultaneously like Top10 - The Best Hotels) is more subtle and blocks less of the surrounding app screenshot. Unless your app is purposefully grayscale or dark-styled, fill your screenshots with as much color as possible. Use vibrant photos and backgrounds. Take care to match your screenshots to your app's styling so that color schemes are maintained, so don't go too extreme on this. Replay Video Editor screenshots uses bright backgrounds and photos to convey fun and excitement about their app. This is one of the core benefits that users of this type of app are looking for. 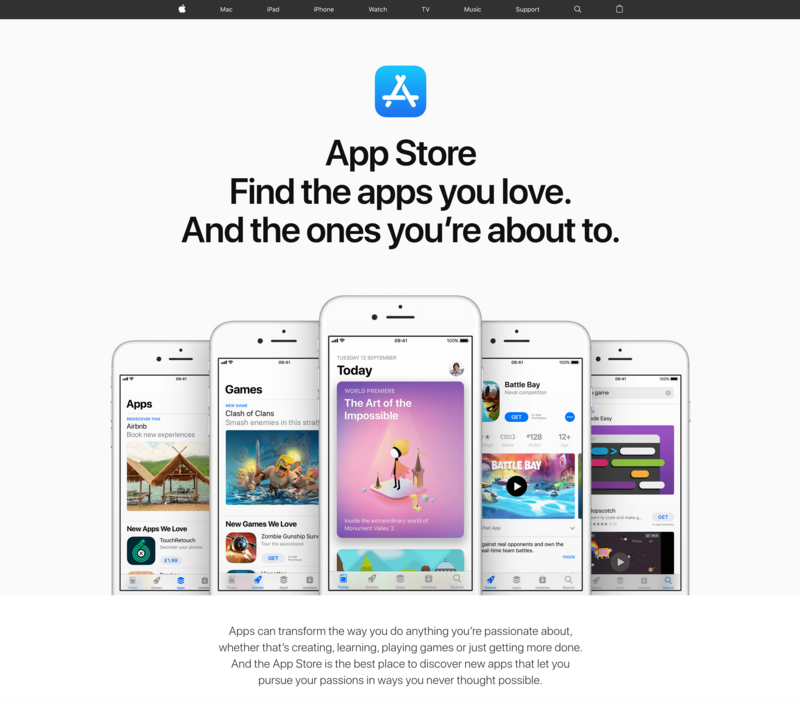 From time-to-time Apple brings out new device hardware and iOS features - show store visitors that your app is compatible with these and this will give you a competitive advantage (at least initially). Not only does this help to convince that this is an app which is kept updated (a selling point nowadays as so many apps are neglected), it also increases the chances your app will be featured by Apple. Once these features are the "norm" or status quo, remember to remove this screenshot and replace it with something more important. All the screenshots below emphasize new Apple features - the release of a new iOS version (Coin), Touch ID hardware compatibility (1Password), live app icon notifications (Celsius), 3D touch ready (Morning Rituals) and Apple Watch extension support (Full Moon). If you've got it - flaunt it. Have any awards? Let App Store visitors know. You can even emphasize app ranking in certain categories or territories... top 10 Utilities app in Estonia? Why not? Here is a handy laurel leaves award image generator to help you make this look authentic (as long as it really is!). Below are some examples of how developers have used a humblebrag to boost their app downloads. Apple is currently pushing Apple Watch compatible apps, which makes this a good strategy to leverage to increase your app downloads. 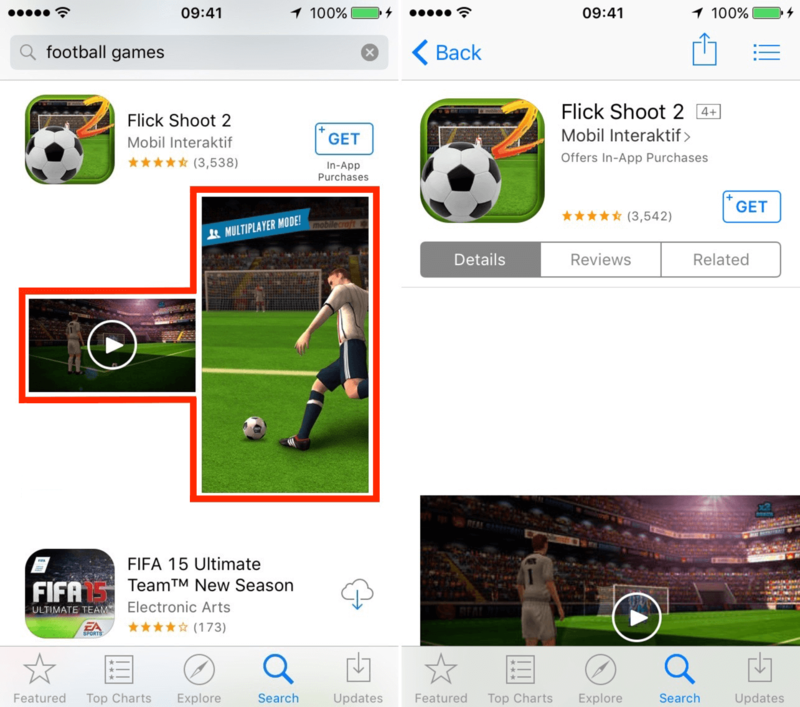 These apps are often showcased by Apple App Store Editors, boosting downloads significantly. You can upload up to five screenshots of your WatchKit app in addition to five iPhone app screenshots, which gives your app store listing more visual coverage - further helping to convince the store visitor to download your app. For the Watch app screenshots, you must use the full space for the screenshot - do not frame the screenshot in an Apple Watch or add other images or overlays. Apple strictly requests that you avoid placing your WatchKit app screenshot within your iPhone App Store image but that doesn't appear to be strictly enforced - in fact, it seems a good tactic to ensure the App Store visitor knows your app also works on Apple Watch. 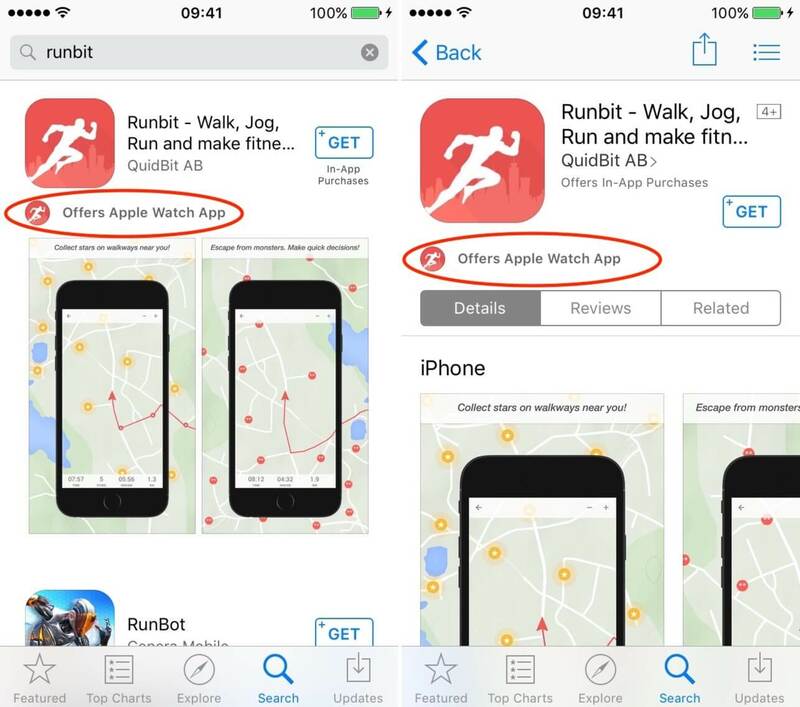 The Runbit app below shows how Apple highlights apps with WatchKit extensions (just below the app title, "Offers Apple Watch App for iPhone") and how these look in iOS search results. 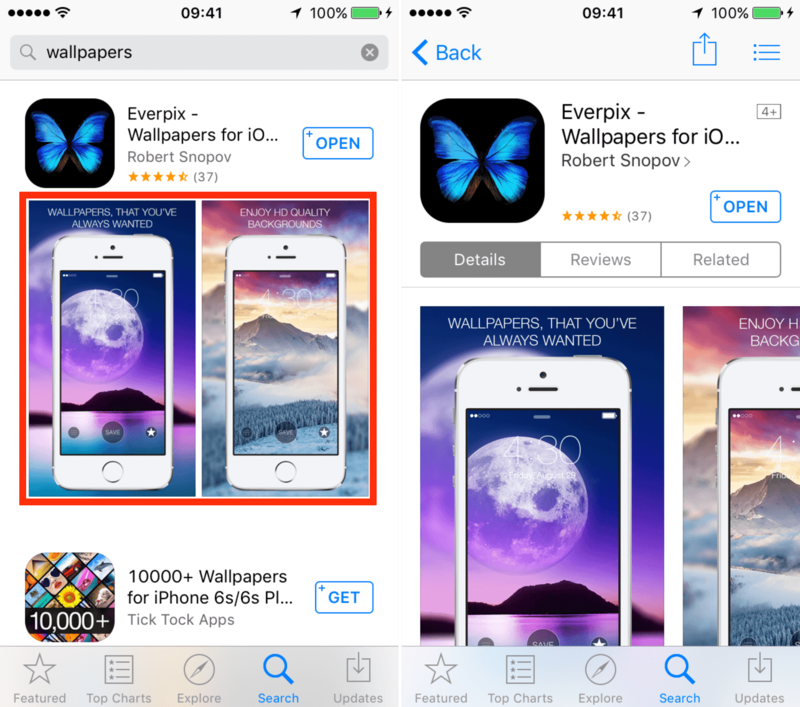 Vertical screenshots give app developers a larger surface area within App Store search results. And as we've mentioned above, 47% of iOS users find apps through App Store searching, so more coverage equals more downloads. Landscape orientation screenshots are more difficult for store visitors to scan quickly, but they are still preferred by the gaming industry due to one key reason - gamers are use to looking at games that way. For everyone else not developing a game, stick to vertical screenshots if possible. Some developers try to get around this problem by submitting horizontal screenshots as vertical ones - this is just confusing and is not likely worth the benefit they are trying to obtain. To illustrate this point, the following three sets of iPhone App Store screenshots (other devices will be different, so test them out) shows you how screenshot orientation affects the size of your app search result page listing (see red area in each of the images below), as well as how it affects the app listing itself. ‍vertical screenshots: a clear winner in overall screenshot visibility in search results, and great coverage in the app listing as well. ‍horizontal screenshots: games seem to prefer this option as it makes good use of the preview video, and most games are generally horizontal themselves - the obvious down-side is that the app search result is very small compared to vertical App Store images. App bundles are a great way to get more coverage and utilise a large number of screenshots all at once. Bundles are impressive as they are inherently offering reduced prices while leveraging a large amount of screenshots to increase download conversions. 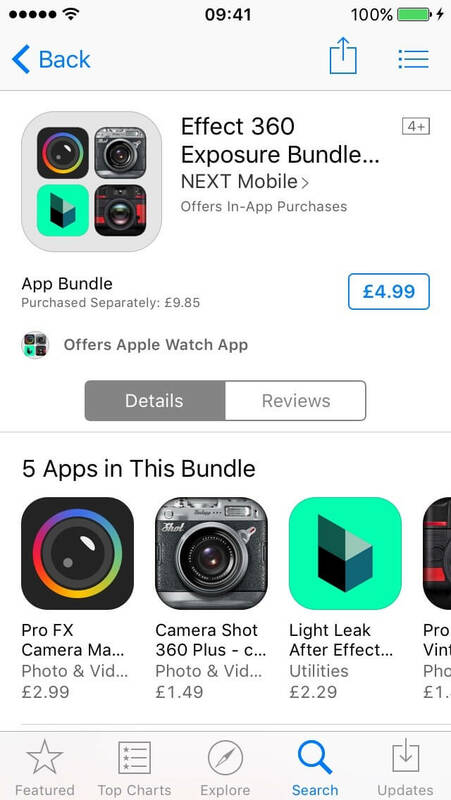 App bundles can display a total of ten screenshots - that's double the normal app listing. An equal number of screenshots are represented for each app (so make sure all your apps have at least two screenshots). The order of the screenshots is based on the order of the apps in the bundle, so again, put your best apps first as once the 10 places are used up, other apps will not get any coverage. A problem specific to app bundles - as a result of being part of a bundle, both the bundle listing and the app listing of each of the apps within the bundle all have their screenshots slightly pushed down the listing. This is a slight drawback as it means store visitors must first scroll down to see the bundle screenshots. 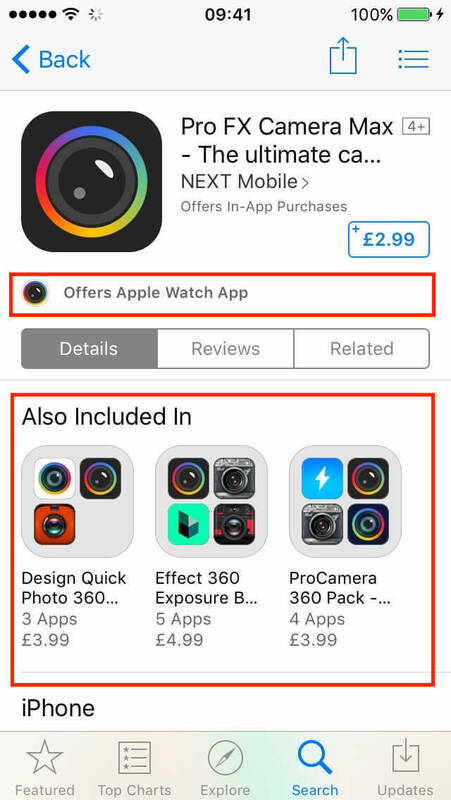 This is explained in the images below and is further exacerbated if any of the apps contain WatchKit extensions. 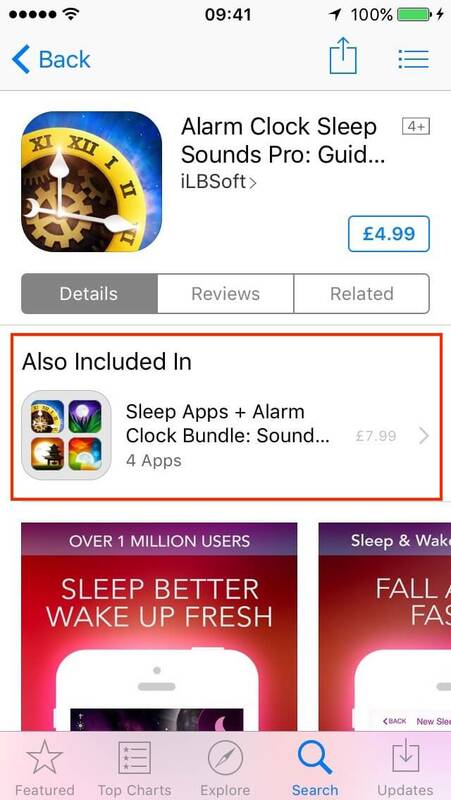 To counter this, try put the captions (text) at the top of the screenshots as (if there are no WatchKit extensions) your app will still show the upper portion of the App Store image above the fold (see Alarm Clock Sleep Sounds Pro app below). Sometimes, its just best to listen to Apple and let your screenshots speak for themselves - raw and unedited, straight from the screenshot capture process. Alto's Adventure, a beautiful endless runner platform game (below) shows that it's stunning backdrops and gorgeous artwork are best left unspoilt in the App Store listing. Use screenshots to show exactly each step the user will likely need to make in the app. It can't be clearer than that. If they like your screenshots, they'll like your app. What are the important points covered in this guide? Who can I share this guide with? If you have skipped to the end to read the much shorter summary of this guide - here it is but you have missed a lot a epic content! For those with less time, I've extracted the most important and key points and listed them here in bullet-point form to keep them short and summarised. You can always scroll up to the relevant section to get more detail if you want to (use the handy links at the end of each section). Want to read more detail about these points? Go back to the Reasons To Care About App Screenshots and Curated App Store Listings sections. Localized screenshots significantly increase app downloads. Fact. Want to read more detail about these points? Go back to the Think Like A Customer, Screenshot Localisation and Screenshots In The App Sale Process sections. Want to read more detail about these points? Go back to the Taking An App Screenshot section. Want to read more detail about these points? Go back to the App Store Optimisation (ASO) section. Want to read more detail about these points? Go back to the Screenshot Split-Testing section. 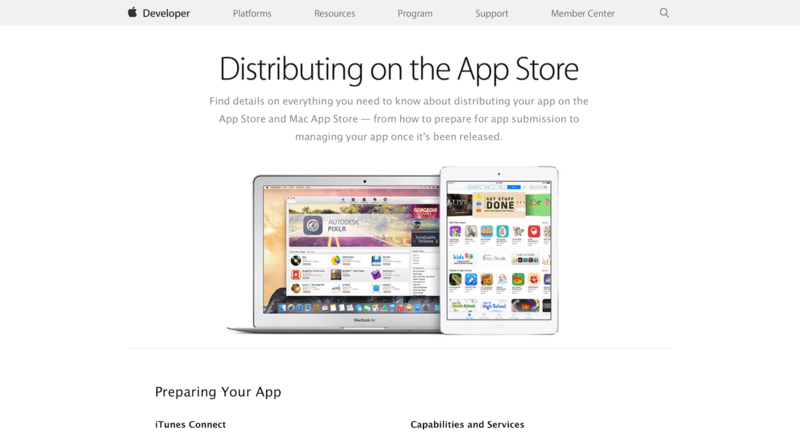 The five most important Apple guidelines for you to consider are: iTunes Connect Developer Guide; App Store Product Page Guide; App Store Review Guidelines; Preparing Your App Submission for Apple Watch Guide; and the App Store Marketing Guidelines. Want to read more detail about these points? Go back to the Screenshots... 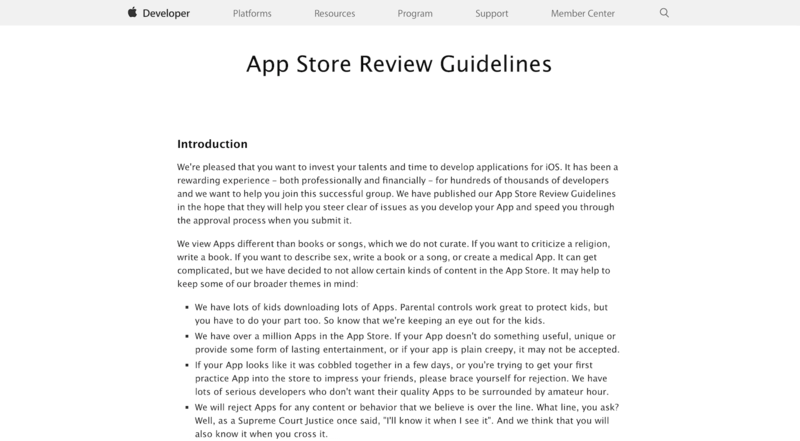 The Apple Way and Apple Guidelines Summary sections. 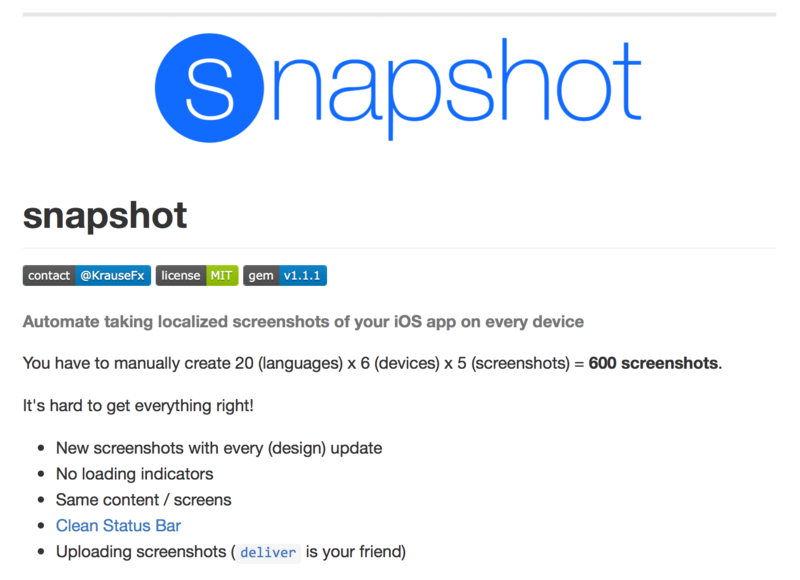 Use proper tools to create your screenshots, like ‍AppShots! Highlight new Apple features but remember to replace them once they become status quo or the "norm"
Want to read more detail about these points? Go back to the Design Tips section. "I've put this guide together to help save you time, improve your screenshots and boost your app downloads. I would love to hear any feedback you have, please find me on Twitter or comment below".